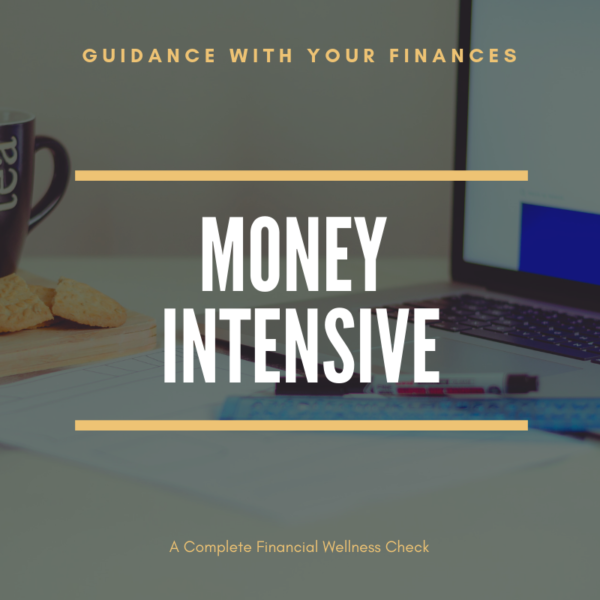 A complete financial wellness check. In roughly 3 hours we will review your financial goals, credit report, spending plan, savings plan, insurance coverage, banking, debt reduction, etc. You will end the session with a plan that includes your credit report, net worth statement, budget, and an actionable plan for reaching your financial goals.